These 100% superfine merino mint green pyjamas are an essential item for layering in the cooler months. 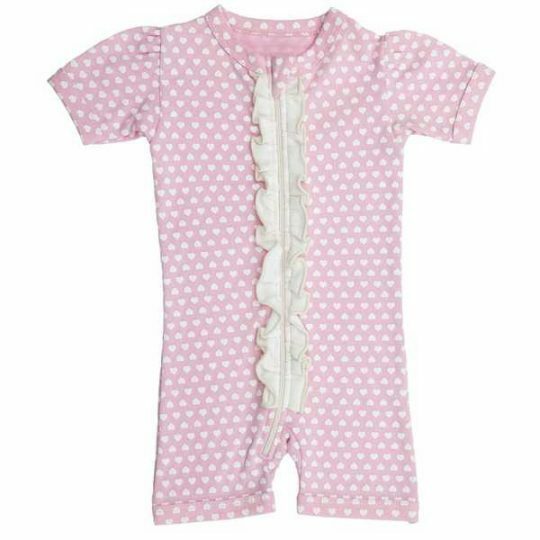 The cross-over neckline ensures ease of use and a perfect fit around your baby or child’s chest and the soft elastic waistband ensures maximum comfort. Merino is renowned for both its insulation properties and ability to absorb body moisture. It is soft, lightweight, durable and non irritating against young, sensitive skin. Machine washable with wool detergent. Available in sizes 6-12mths, 12-24mths, 2-3yrs, 3-4yrs and 4-5yrs.